Did you know that the American Heart Association recommends adding fatty fish to your diet at least twice a week to help lower cholesterol levels and improve your heart’s health? Why?? Because a single can of sardines is packed with high protein and is low in carbs. It is also a good source of calcium, iron and omega 3 fatty acids. Guys, let me introduce to you the deliciously flavorful — King Cup Sardines. It has a firm, meaty texture rarely found in regular sardines. Specifically created for mass market consumption, King Cup Sardines are made from fresh tamban fish cooked in tomato sauce with just the right amount of spices. It has two variants: King Cup Sardines in tomato sauce and King Cup Sardines in tomato sauce with chili added. Since Filipinos enjoy their sardines sautéed, this new brand is definitely suited for moms. Lola’s or Tita’s special recipe of ginisang sardinas! 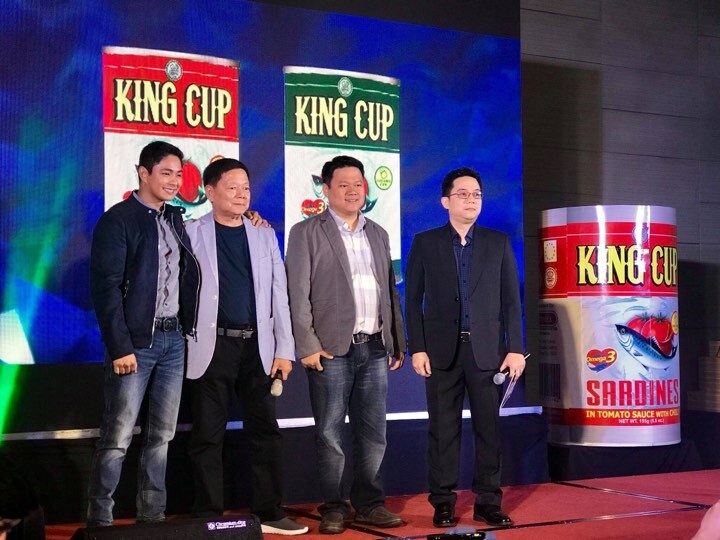 In an event last 3 weeks ago, Permex Producer and Exporter Corporation launch their new brand label designs of King Cup Sardines. 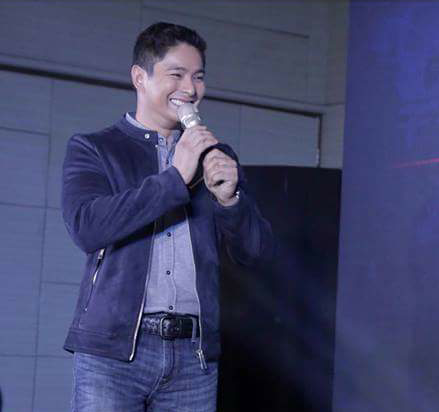 The Probinsyano lead actor Coco Martin was present at the launch at Luxent Hotel in Tomas Morato, Quezon City. Coco has proven that the Filipino taste has not really changed much over the years especially when it comes to entertainment. There’s no denying the fact that Coco Martin has bagged the title, “Hari ng Primetime” with his long-running show, “Probinsyano”. His show which is a mix of action, suspense, drama and comedy has that distinct Filipino flavor stamped all over it and it has been airing in ABS-CBN for the past three years which is not an easy feat especially with the new and bolder shows taking the spotlight. 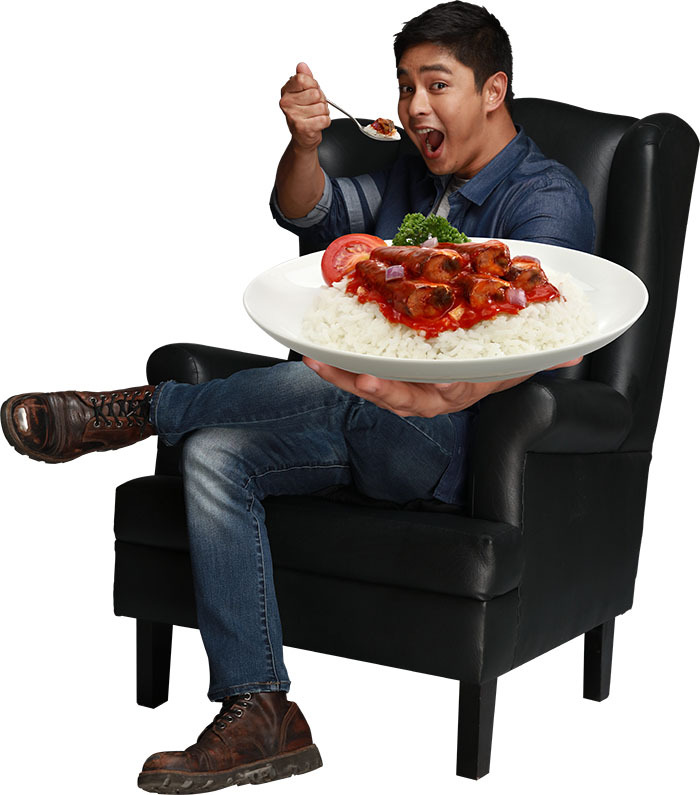 It came as no surprise when Coco became the face of a local brand of sardines – King Cup -- “Hari ang Sarap, Hari ang Sardinas”. Just as many Filipinos are making sure they come home from work early just so they can tune in to this popular show, this new brand of sardines will surely make you want to come home because of its delicious taste and distinct flavor – mapapauwi ka talaga sa sarap! 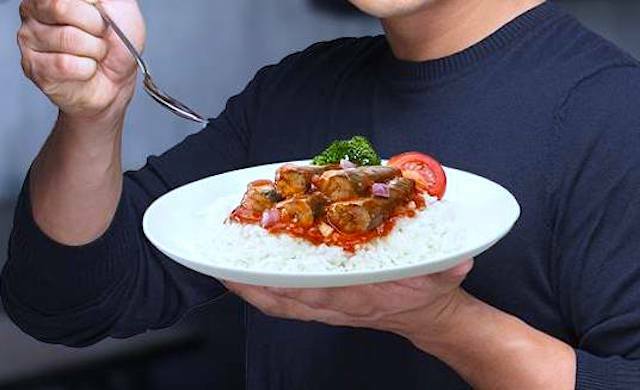 Kaya nga for sure this sardines are here to stay and with the new brand of royalty in town, King Cup is sure to reign in the hearts—or in this case, the kitchen---of many. King Cup is available at all leading supermarkets and groceries nationwide. For more information, visit www.permex.com.ph and follow on Facebook: @KingCupA1Sardines. King Cup is just one of the many brands under Permex Producer and Exporter Corporation which has been around for more than 30 years. Permex is a family corporation is headed by its President Jimmy Yap who was born and raised in Davao. The second generation currently takes an active role in running the family business with Engineer Jaydrick Yap as the Vice President of Sales and Marketing, and Eugene Yap as the Chief Finance Officer. Permex owns seven separate warehouses, ice plant that can produce 180 metric tons of ice per day, a cold storage facility for 1,200 tons of fish storage at -25C that maintains fish freshness, and a fully air-conditioned tuna cleaning facility with temperature maintained at 70F. With a world class quality of King Cup Sadines, Permex takes pride in being the only Philippine fish cannery to attain a ‘Double Triple A’ rating by the Department of Fisheries and Oceans of Canada in 1991. Permex is also one of the few Philippine canning plant accredited by European Union, that produces both sardines and tuna for export to EU market. Their excellence in their products has reached world-wide recognition which is a pleasant surprise since sardines has been known for far too long as a poor man’s food.